Fear is the core affect in most if not all serious psychopathology. Perhaps better than anything else it does, neurofeedback calms fear. FPO2, a placement off the ten-twenty system, can provide a unique quieting effect on fear. The theory and practice of FPO2 are based on LeDoux's work, contributions from body work and clinical outcomes. Sebern Fisher is a psychodynamic psychotherapist with a primary interest in the importance of secure attachment throughout the life span. 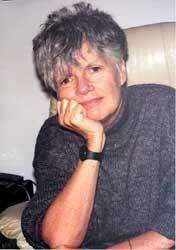 She incorporated neurofeedback into her clinical practice in 1997. The effects of brain training that she has both experienced and witnessed have had significant impact on the way she now conceptualizes personality, self, psychopathology and even free will. Emerging theory in all fields of psychotherapy is focused on the importance of affect regulation. After almost ten years of work with neurofeedback, Sebern has come to believe that the single most important contribution of neurofeedback is regulation of affect, and further, that the most important affect to regulate is fear. In pursuit of this, she discovered the site FPO2, "the gateway to the amygdala", in 1999, and uses it specifically to quiet fear and reactivity. She has fully integrated neurofeedback into her practice of psychotherapy, rarely now, providing one without the other. She works with people suffering from conditions as apparently diverse as PTSD, dyslexia, dissociative disorders, Asperger's, and attachment disorder. Sebern was the Clinical Director of a residential treatment center for severely disturbed adolescents for fifteen years, where she implemented the first milieu DBT program in the US. She now maintains a private practice in Northampton, Massachusetts. She is an owner of EEG Spectrum International, and speaks nationally and internationally on neurofeedback, on the integration of neurofeedback and psychotherapy, and on attachment and neurofeedback.